To celebrate a 20 year evolution of dedication to style, Does is releasing a very personal story. 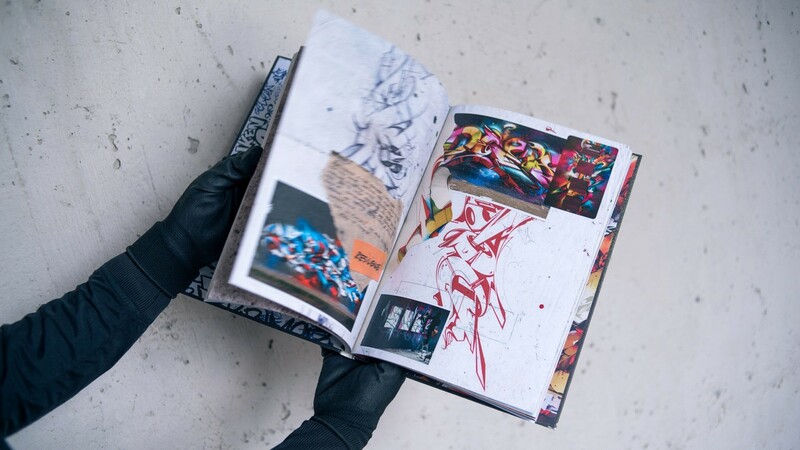 This book is filled to the gills with unreleased sketches, stories and drawings. 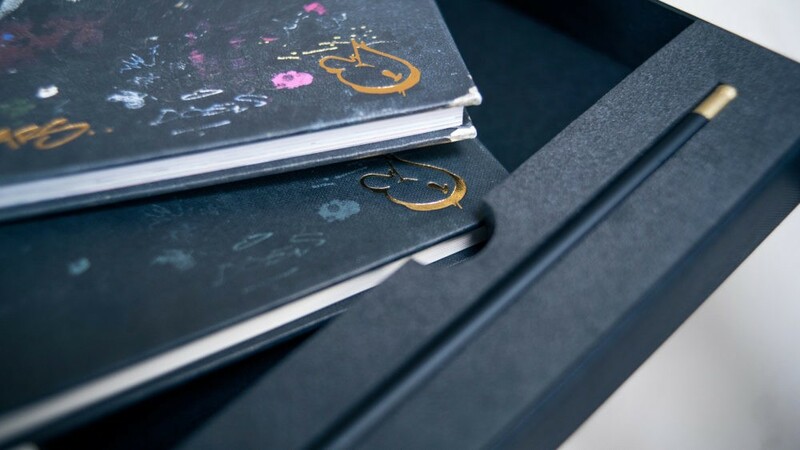 A signed and numbered book 'First 20 Years' with golden Does logo. 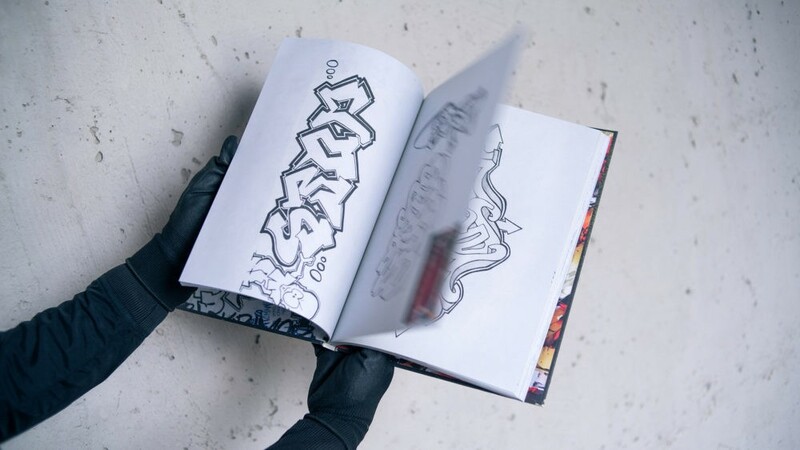 A sketchbook with golden Does logo and 12 pages with different phases of a drawing that Does created especially for this book release, to share the steps in his creative process. 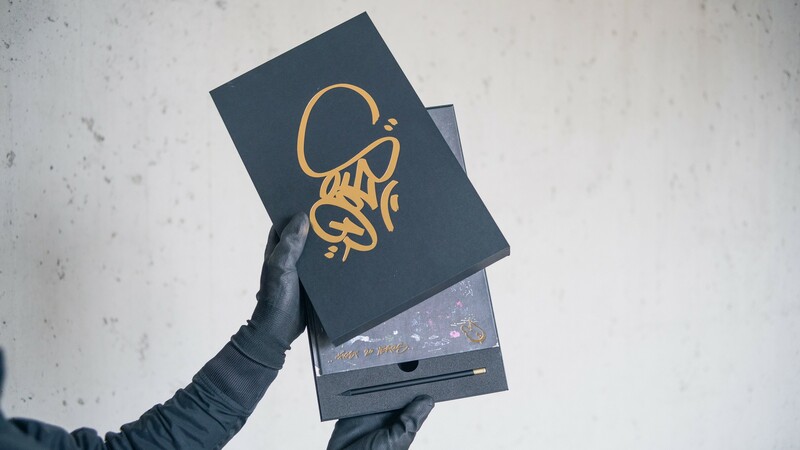 A black pencil with gold lack touch handcrafted by Does.